Yesterday, as we were leaving for dinner and a movie (or rather a movie and dinner), my husband excitedly called me over to the window. 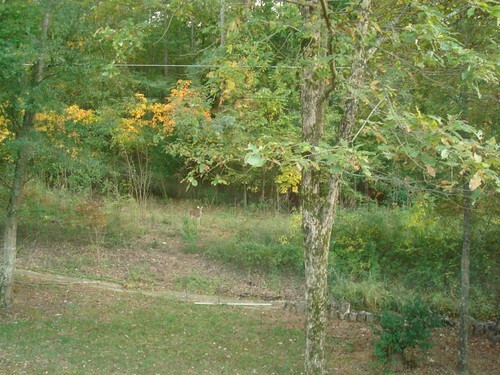 There was a deer standing in the undeveloped land adjoining our property. He watched us, we watched him (and snapped pictures) for about five minutes before we had to leave. I love living here. How magical! I love little, unexpected brushes with nature like that.